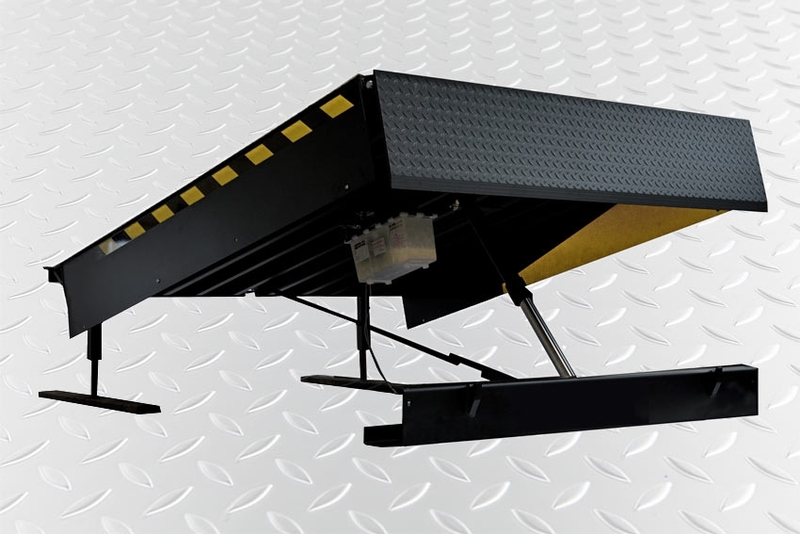 Hinged lip - NATURA DK, a.s.
NDK – S 2.5 is a hydraulic dock leveller with folding hinge contact lip driven by electro-hydraulic unit. It is made of high-quality construction steel, the platform and contact lip are made of non-slip metal of higher quality. The leveller meets the CE requirements of standard ČSN EN 1398. The platform is lifted by a robust hydraulic piston rod with 65 mm outer diameter and the contact lip is lifted by Ø 40 mm piston rod. Colour finish – black, red, blue; we can also supply different colours upon request. The dock leveller is fitted with side protection sheets to prevent nipping. The leveller automatically copies the motion of the loaded surface during loading and unloading. 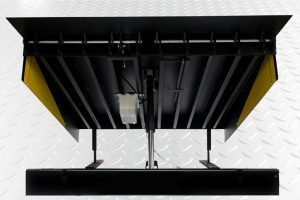 The dock leveller can be connected to a multi-function control unit on industrial gates or via our separate control box designed specifically for this leveller. Key for automatic return of the leveller to its default position. 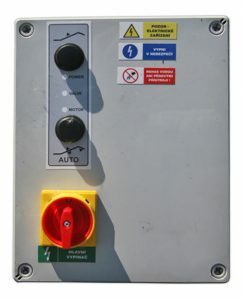 Input for gate status control – leveller/gate blocking. Input for default position end limit switch – switches off the oil valve without the need to turn off the main switch. The base frame is made of construction steel reinforced both in lateral and transversal direction. The platform and contact lip are made of quality grade 11 non-slip metal. The hydraulic unit is fixed under the platform – less prone to damage.